10 new Australian TV shows to watch in 2016 | Daily Review: Film, stage and music reviews, interviews and more. If you switched on any of Australia’s three main commercial channels during prime time, you could be forgiven for thinking that local scripted dramas and comedies had all but died out. Mainstream programming is dominated by cooking and talent competition shows (with a few international sitcoms thrown in for good measure), but there’s actually quite a decent slate of local content produced for other platforms. A bunch of those shows are coming up in 2016, being produced for both the major networks and subscription services. The following ten shows are all scripted(!) and are already generating quite a bit of hype. It seems Seven can’t announce a line-up of programs nowadays without Rebecca Gibney making an appearance, but the mini-series Wanted seems like an interesting project for the Packed to the Rafters/Halifax f.p. actor, who serves as Executive Producer. She stars alongside up-and-coming star Geraldine Hakewill: the pair play two strangers from very different backgrounds who are caught up in a deadly car jacking. They’re then forced to rely on each other as they go on the run (which has allowed for some on-location shooting in Queensland’s Daintree Rainforest). The series, which Gibney earlier this year described as “Thelma & Louise meets Breaking Bad” will be directed by Shirley Barrett (A Place to Call Home, Love Child, Offspring). Australia has never had its own musical TV series, but The Secret Daughter will certainly put music front and centre. Starring Jessica Mauboy as a part-time indigenous country pub singer, the 10-episode series is produced by Screentime (behind the Underbelly series, Cloudstreet, and Janet King). The story was developed specifically for Mauboy, whose character undergoes a massive life shift when she meets a wealthy city hotelier. According to Seven, the series is “a feel-good drama which explores the very different Australian worlds of ‘the haves’ and ‘the have nots’”, and features plenty of music. Here Come the Habibs! is Nine’s first local sitcom in an extraordinary 15 years. It follows a Lebanese-Australian family who suddenly strike it rich and move to one of Sydney’s wealthiest and whitest suburbs, Vaucluse. The series was created by Rob Shehadie, Tahir Bilgic, Matt Ryan-Garnsey, Phil Lloyd and Ben Davies, and is produced by Jungle (formerly Jungleboys), the company behind The Moodys and Stan’s brilliant No Activity. Ten’s 2016 line-up is very heavy on reality and international content (although there is the return of Offspring), but one show which has caught our eye is The Wrong Girl, a romantic comedy starring Jessica Marais. And like many rom-coms, Marais is caught between two men: Mr Right and Mr couldn’t-be-more-wrong. The head writer is Judi McCrossin, who was one of the main writers on The Secret Life of Us. Based on popular writer Benjamin Law’s memoirs of the same name, The Family Law is a six-part comedy series written by Law and Marieke Hardy. The story of the seven members of the Chinese-Australian Law family is told through the eyes of 14-year-old Benjamin, played by newcomer Trystan Go. 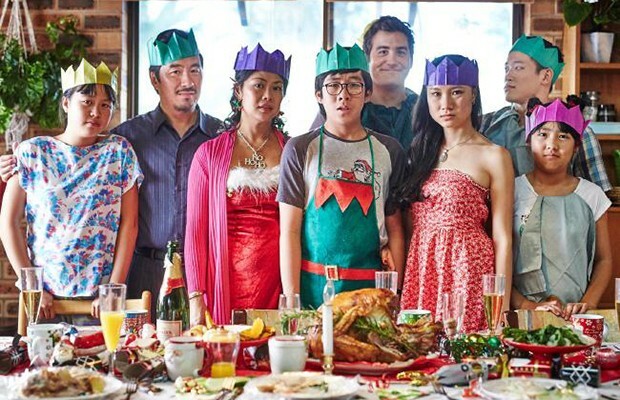 The series is shot in Queensland and sees the family trying to cope with divorce and separation, and is the first Asian-Australian TV series. And there’s an airdate for The Family Law just around the corner — it starts on January 14. Stan has already proven itself to be ahead of the pack when it comes to streaming services commissioning local content, with the comedy No Activity. But the TV series spin-off of the 2005 Australia horror film Wolf Creek will be a major test for the service. John Jarratt returns to his terrifying role as Mick Taylor, and the writer and director of the original film Greg McLean is on board. The series is produced by Screentime and features Dustin Clare, Miranda Tapsell, Jessica Tovey, Jake Ryan and Richard Cawthorne. In the series, Mick terrorises and massacres a family of American tourists. But one family member, 19-year-old Eve (Lucy Fry), survives and embarks on a mission of revenge. The six one-hour episodes will be released in mid-2016. 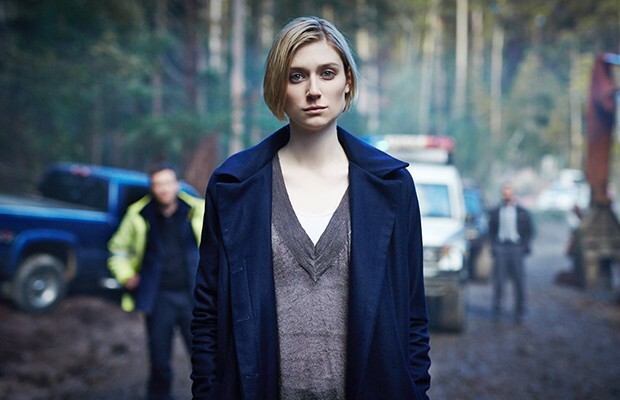 Foxtel’s The Kettering Incident has long been in the works and is intended to be Australia’s answer to Broadchurch or Top of the Lake. The series (originally slated to premiere in 2015, but delayed until 2016) is a murder mystery with supernatural elements set in the sleepy Tasmanian town of Kettering. Elizabeth Debicki (The Great Gatsby) stars as a doctor who finds herself caught up an unusual case: two young girls disappear 15 years apart in identical circumstances. The series also features Matthew Le Nevez, Alison Whyte and Sacha Horler, and will screen on BBC Worldwide internationally. After the success the ABC had with its TV adaptation of Christos Tsiolkas’ The Slap, it’s no surprise that they’ve jumped at the chance to screen an adaptation of his latest novel Barracuda. The novel, which was met with rave reviews, tells the story of Danny Kelly, a Greek-Australian swimmer whose dreams of competing at the Sydney 2000 Olympics are derailed. The four-part series will be directed by Robert Connolly and stars newcomer Elias Anton alongside a cast of acting veterans led by Rachel Griffiths. 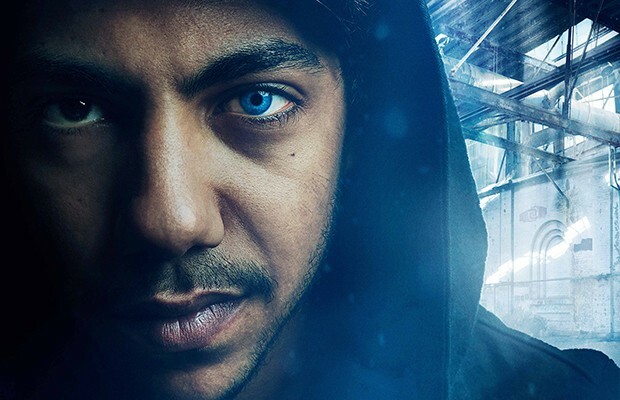 ABC’s Director of Television Richard Finlayson said that Cleverman is perhaps the broadcaster’s most ambitious drama so far. The series is produced by Goalpost Pictures (The Sapphires, Holding The Man) along with international co-producers, and melds Sci-Fi action-adventure with stories from the indigenous dreamtime. Rising star Hunter Page-Lochard stars, along with Rob Collins, Iain Glen (Game of Thrones), Frances O’Connor and Deborah Mailman. The series is directed by Wayne Blair and Leah Purcell. The ABC has long been a leader in making TV for younger audiences, and is adapting John Marsden’s Tomorrow, When the War Began with younger viewers specifically in mind. The ABC will undoubtedly be hoping that it achieves the same sort of success as their teen drama Dance Academy, which has had broad crossover appeal. With a cast of relative newcomers alongside Alison Bell and Deborah Mailman, the six, one-hour episodes will air from April. I love to see Richard Finlayson’s Cleverman. Marc Klein should write about an Australian Romance, to fulfill both characters, in and out of daily life. Looking forward to watching the Barracuda. Just love the quality of Aussie mini series. Even though your article is slanted to plug the little ‘original’ local content the commercials produce. (if we leave out all the syndicated, dumbed down reno / cooking / talent quest shows), that doesn’t mean you can pretend the ABC and SBS haven’t been carrying drama and comedy in Australia for years now. Following on from the previous three telemovies, Jack Irish is tasked to find a missing person, but is soon framed for his murder. The mystery takes Jack Irish from his home in Fitzroy to a remote village in the Philippines. Stars: Guy Pearce, Claudia Karvan, Brooke Satchwell, Marta Dusseldorp, and Deborah Mailman. Written by: Andrew Knight, Matt Cameron and Andrew Anastasios. Production: An Essential Media production in association with ABC TV, Screen Australia and Film Victoria. Janet is handpicked by a nervous government to head a Royal Commission into the surge in recent shootings. The Royal Commission allows Janet and her team to become the investigators – they can raid, interrogate and have police seconded to them. Written by: Greg Haddrick, Niki Aken, Stuart Page and Felicity Packard. Directed by Peter Andrikidis, Grant Brown and Ian Watson. Production: Screentime (a Banijay Group Company) production in association with ABC TV and Screen NSW. Rake returns for a fourth season where Cleaver Greene is on the run from a one-time mentor, turned criminal on-the-run. Throughout the series, Greene also deals with terrorist threats in Sydney and a yellow brick road leading to the back door of Federal Parliament. Stars: Richard Roxburgh, Matt Day, Danielle Cormack, and Adrienne Pickering. Written by Peter Duncan and Andrew Knight. Directed by Peter Duncan, Peter Salmon and Rowan Woods. Production: An Essential Media and Blow By Blow production in association with ABC TV and Screen NSW. Following on from the first season of The Code, as Jesse and Ned face possible extradition to the US, Australian National Security is sitting on an explosive case they cannot crack, and Jesse Banks might just be the man to do it. Stars: Ashley Zuckerman, Dan Spielman, Anthony LaPaglia, and Adele Perovic. Production. A Playmaker production in association with ABC TV, Screen Australia, Screen Queensland, Screen NSW and Screen ACT. I write more about shows on ABC and SBS than the commercial networks combined. Just a few weeks ago I wrote this piece on the highlights of ABC’s line-up, which carries plenty of quality programming. Also, you’ll notice this article is about NEW series and none of those you’ve listed are new. The only interesting show looks like The Kettering Incident, and even that looks like the standard morose-a-thon favoured by the ABC. Is there some requirement that every single fracking thing written by Christos Tsiolkas has to be filmed? Did anyone actually watch Dead Europe? Except for all the writers directors and actors that aren’t the same old.